With 70 vibrantly decorated rooms and a beautiful beachfront location, Brisa Benidorm offers a great spot for couples and families to enjoy a holiday on the Costa Blanca. This hotel does not accept booking from stag/hen parties or large groups. 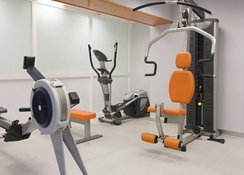 Set in a quiet area of Benidorm, this 4-star hotel features great on-site amenities including a swimming pool, sunbathing terrace, restaurant, reading room and an on-site gym. When you’re not lounging by the on-site pool or if you have little ones to entertain, Brisa Benidorm is close by to some of the resort’s top attractions, such as exciting waterparks, theme parks and golf courses. 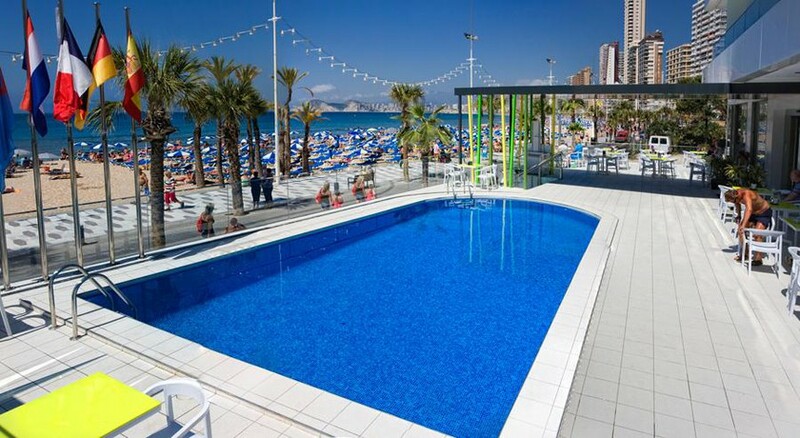 The Brisa Benidorm is an ideal location if you want a romantic break or a holiday with the kids. Located right beside the Levante beach, which is the most popular in the area, the Brisa Benidorm is also in a prime spot to explore the rest of the town and many of the main tourist attractions. This includes the Aqualandia Water Park (1 mile), Terra Mitica Theme Park (3.4 miles), Plaza Mayor Square (1.2 miles) and there are several other beaches nearby too such as Mal Pas beach (1.3 miles). The Alicante International Airport is 30 miles from the hotel. There are 70 guest rooms in total at the Brisa Benidorm. They are all designed in a modern style with vibrant and bright colours. You can choose from a Twin Room for two guests with an option of a sea view, Twin Room with an extra bed for three people and a Junior Suite with sea view for three guests. All of the rooms have air conditioning, a TV and some have balconies. 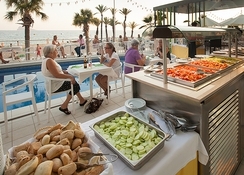 Brisa Benidorm has a restaurant that has international and local buffet style food and there is also a bar that serves a range of snacks and alcoholic and non-alcoholic drinks. Due to the location of the hotel on the beachfront, there is a multitude of different bars and restaurants that are just a short walk away. The hotel boasts a beachfront location with the popular Levante beach just steps away, offering a variety of watersports and other activities. The hotel itself has a small swimming pool as well as a sunbathing terrace, in addition to a reading and TV room. There is also an on-site gym. Golf lovers can divide their time between The Las Rejas Golf Course (3 miles away) and the Villaitana Golf Course (4.1 miles away), plus the lively centre of Benidorm is just over one mile from the hotel.